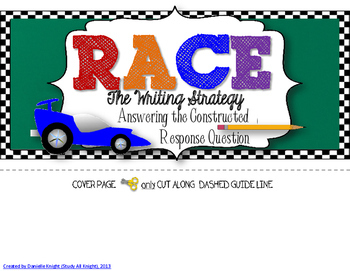 --The RACE acronym has been around for as long as I can remember. It is proven to be a successful way to get your students to remember the formula! 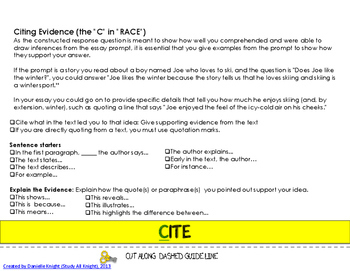 -Each page covers a component of R.A.C.E. -The "Explain" tab includes a table that lists prompt verbs and an explanation as to what the writer is expected to do. 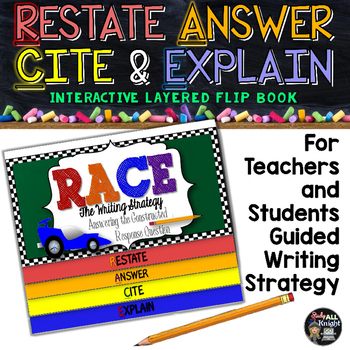 -Great for ELA test prep. 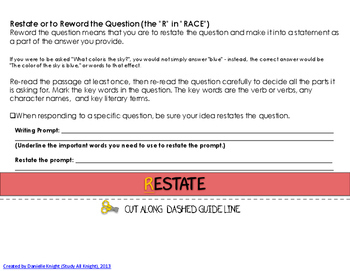 How to answer the constructed response prompts that are found in most standardized tests. Your students can use this flip book to also prepare for "how to respond to discussion prompts." Please provide me with really appreciated feedback! Danielle Knight, Study All Knight,The Knight’s Stuff, LLC. Come Together! Connect with Me!